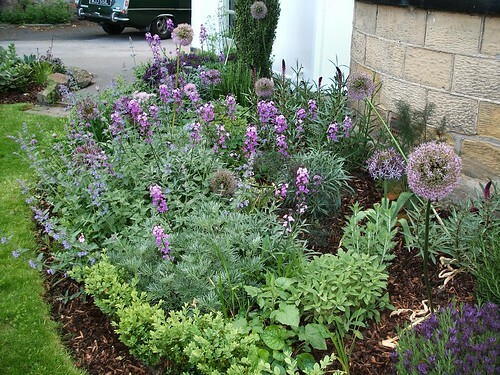 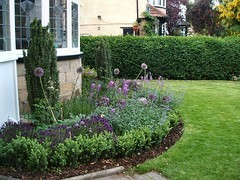 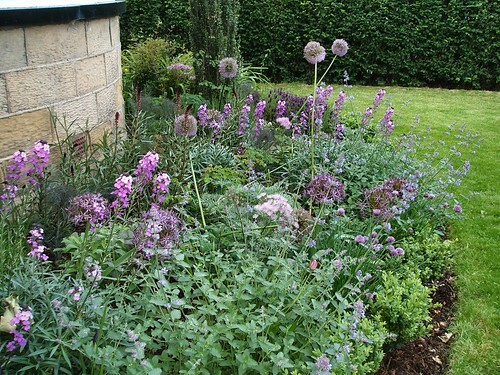 This border can be seen from the street and needed to liven up the house entrance. 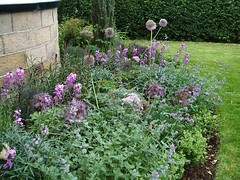 It includes many scented and aromatic plants including herbs. 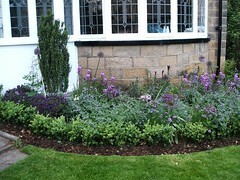 The Ilex crenata frames the bay window.